"The recording quality is gorgeous and the record produced a vibrantly three-dimensional and tonally vivid picture with instruments and Dylan's voice all standing out in 3D relief with the sensation of the studio wall behind." Music = 10/11; Sound = 10/11 — Michael Fremer, AnalogPlanet.com. Read the whole review here. 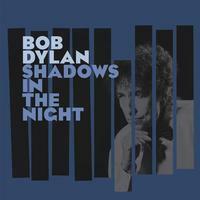 Shadows In The Night is Bob Dylan's newest studio album, and marks the first new music from the artist since 2012's worldwide hit Tempest. Featuring 10 tracks, the Jack Frost-produced album is Dylan's 36th studio set. The standards performed by Dylan include "Full Moon and Empty Arms," "What'll I Do," "Stay With Me" and more. Regarding the repertoire on this album, Dylan commented, "It was a real privilege to make this album. I've wanted to do something like this for a long time but was never brave enough to approach 30-piece complicated arrangements and refine them down for a five-piece band. That's the key to all these performances. "We knew these songs extremely well. It was all done live. Maybe one or two takes. No overdubbing. No vocal booths. No headphones. No separate tracking, and, for the most part, mixed as it was recorded. I don't see myself as covering these songs in any way. They've been covered enough. Buried, as a matter a fact. What me and my band are basically doing is uncovering them. Lifting them out of the grave and bringing them into the light of day." Dylan's five previous studio albums have been universally hailed as among the best of his storied career, achieving new levels of commercial success and critical acclaim for the artist. The platinum-selling Time Out Of Mind from 1997 earned multiple Grammy Awards, including Album Of The Year, while Love and Theft continued Dylan's platinum streak and earned several Grammy nominations and a statue for Best Contemporary Folk album. Modern Times, released in 2006, became one of the artist's most popular albums, selling more than 2.5 million copies worldwide and earning Dylan two more Grammys. Together Through Life became the artist's first album to debut at No. 1 in both the U.S. and the U.K., as well as in five other countries, on its way to surpassing sales of 1 million copies. Tempest received unanimous worldwide critical acclaim upon release and reached the Top 5 in 14 countries, while the artist s globe-spanning concert tours of the past few years have heavily emphasized that album's singular repertoire. Dylan has sold more than 125 million records around the world. In recent years Dylan has received the Presidential Medal of Freedom, the United States' highest civilian honor. He was also awarded a special Pulitzer Prize in 2008 for "his profound impact on popular music and American culture, marked by lyrical compositions of extraordinary poetic power."